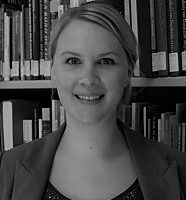 Johanna Schneegass works as a research associate at the Centre for Netherlands Studies at the University of Münster. She is a specialist in regional studies, and her dissertation examines policy towards military intervention within Alliance ‘90/The Greens and GroenLinks. Gekürzte Fassung eines Vortrags auf dem Symposium Burgers beschermen: GroenLinks van Koude Oorlog naar humanitaire interventie, am 11. September 2014 in Utrecht. After the end of the Cold War and the renaissance of nationalism and of the concomitant abuses of human rights of the worst kind, the pacifism that had been one of the German Greens’ founding principles came into increasing conflict with its active defence of human rights.